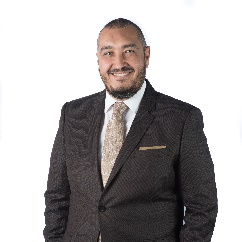 With 20 years of diverse experience in Information Technology Field; Khaled has held positions that allowed him to manage high impact projects, establish departments and manage people, he has held roles that drove IT presales activities with different sectors of businesses from Public Sector to Commercial Enterprises. Khaled has also delivered impactful consulting projects in the IT field for IT Governance, and IT Services Management in addition to a passion for delivering lectures and training workshops to empower the CIOs and Decision Makers to transform their IT Management styles and Execution frameworks. Khaled has attended the Engineering College at Ain Shams University, graduating in 1997 with a B.SC. In Automatic Control and Computer Systems. Later in 2002, he combined the engineering knowledge with a passion for business to graduate from ESLSCA Business School with a Master in Business Administration with a focus on Strategic Management and a Research Project in the Factors that Affect the Alignment between IT and Business. During the tenure at Microsoft, Khaled Attended the London Business School Course for “Leading the way with Public Sector” as well as the INSEAD certification course for “Business Model Innovation”. Khaled is Certified as ITSM ITIL V3 Expert, Six Sigma Orange Belt, and HP Certified AIS Service Management, Microsoft Office 365 Ranger, and Technical Sales Ranger, among other certifications for Digital Transformation, Microsoft Azure, and Artificial Intelligence.